The coming year promises to be very busy for the VR Gaming market. 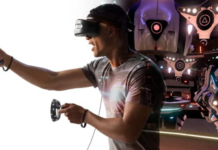 Discover the top of the most anticipated virtual reality games of 2019 on different virtual reality headsets. In 2018, many video games in virtual reality have been launched. 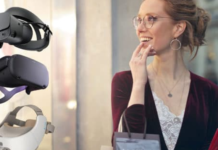 However, the year 2019 promises to be even richer for VR gaming. Developers are finally starting to master this new technology, and the market will enter a new era of maturity. Without further ado, discover the top of the most anticipated VR games of 2019. Population: One is a Battle Royale type VR game developed by the BigBox VR studio, which is already home to the excellent Smashbox Arena. 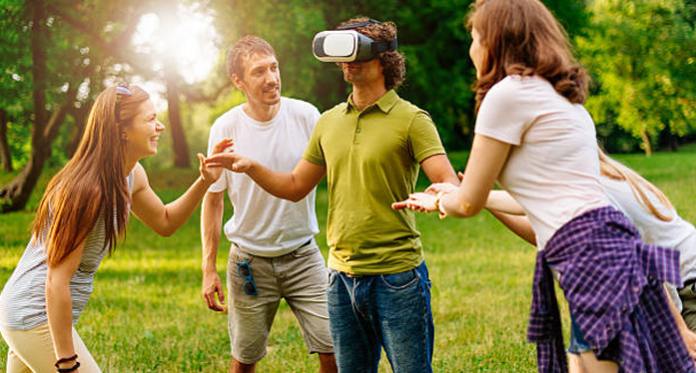 Openly inspired by successful PC games such as Fortnite and PUBG, this title in virtual reality offers innovative mechanics such as the ability to climb any setting, build forts, or fly. The trailer is very promising and this game promises to be one of the hits of 2019 for the VR Gaming market. 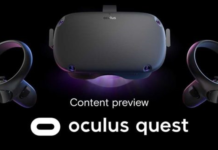 It is expected for early 2019 on Oculus Rift, HTC Vive and Windows Mixed Reality. Developed by Insomniac Games exclusively for Oculus Rift, Stormland promises to be the most ambitious and promising exclusive game of Facebook’s VR headset. Still, the bar is high. The player embodies an android whose body has been dispersed by “the storm”. In order to improve his abilities and save his friends, he will have to explore a post-apocalyptic world in perpetual change. In this title in the open world, freedom is total. You can climb, slide and fly without ever stopping. The game will be playable solo, but the cooperative multiplayer mode makes it even more appealing. The release date is scheduled for 2019, without further details. In the PlayStation VR Worlds demo disc, provided by Sony with the PSVR headset, players had the opportunity to experience the “The London Heist” demo. This experience was excellent but unfortunately far too short. However, in response to unanimously positive feedback from users, Sony London has decided to create a complete experience inspired by this demo and titled “Blood & Truth “. The player embodies an elite soldier whose goal is to save his family from a criminal. This shooter promises a particularly intensive and jubilant action. Originally scheduled for 2018, this game will finally be released on PSVR in 2019. In 2017, the Ready at Dawn studio made an impression with the excellent Lone Echo. 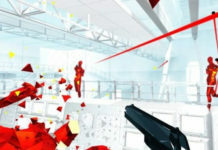 This game developed exclusively for the Oculus Rift proposed to embody a robot aboard a spaceship in the grip of a mysterious threat. Impressive graphics, original gameplay, and an exciting storyline were some of the highlights of this game. In 2019, players will be able to find Jack and Liv in Lone Echo II, the direct continuation of the first opus. New mysteries await you near the rings of Saturn, and the experience looks even more captivating. In Failspace, you play as a delivery man from the bounty hunter space in his spare time. You will have to accomplish different missions while maintaining your spaceship. Repair leaks pull the lever, turn handles to achieve increasingly difficult goals. A game full of humor that promises to be particularly fun. 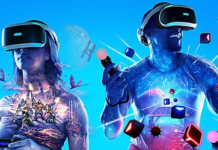 The title is expected on Rift, Vive and Windows VR for the second quarter of 2019. In Defector, the player embodies a spy with impossible missions. Your enemies are ready for anything, and you will have to flirt with danger to hope to embrace success. Developed by Twisted Pixel exclusively for Oculus Rift, the title will be available in 2019. New baby Vertigo Games to whom we must already Arizona Sunshine, A Fisherman’s Tale is a puzzle and adventure game that will put your brains to the test. As the trailer suggests, this title will make you go crazy. The year will start very strong since this game will be released on Rift, Vive, PSVR and Windows VR on January 22, 2019. After Skyrim VR, Fallout 4 VR and VFR Doom, Bethesda continues to feast virtual reality fans with Typhoon Hunter: a free multiplayer update for Prey: Mooncrash. This update is already available on console and PC, but will be available on Rift, Vive and PSVR early 2019. One of the players controls the hunter Morgan Yu, while the others play aliens of the typhoon race who can morph into an object. The game of cat and mouse revisited in the era of virtual reality. Unfortunately for flight simulator fans, Ace Combat 7 will not be playable in VR in its entirety. This is primarily a PS4 game. However, Bandai Namco confirmed that several missions especially created for the PSVR will be proposed. The developer promises “several hours” of gameplay. As a reminder, Ace Combat 7 will be available on January 18, 2019, on PS4. After conquering the mobile gaming market, the Angry Birds saga will make a big comeback in virtual reality. 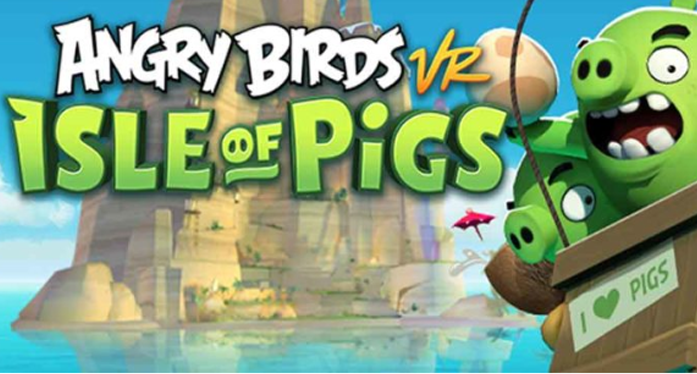 Recently announced, the game Angry Birds VR: Isle of Pigs will be available early 2019 on Rift, Vive and PSVR. For now, very little information has been revealed about the gameplay of this title. However, it is possible that we find mechanics of the game Angry Birds: FPS – First Person Slingshot on Magic Leap One. Indeed, the developer Resolution Games contributed to the development of both titles. It could, then again, be a game insight in the first person. 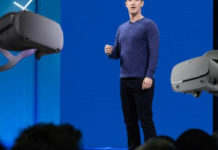 At the Oculus Connect conference, Facebook announced that a very ambitious VR game was being developed for the Oculus Rift. This is a game developed by Respawn Entertainment, the studio to which we owe including Titanfall and Call of Duty. For now, we do not know the release date and even the title of the game. However, the developer promises a realistic experience similar to what a soldier lives on the battlefield … release scheduled for 2019. After his work simulator Job Simulator, one of VR Gaming’s biggest hits, Owlchemy Labs (owned by Google) is back with Vacation Simulator. As the name suggests, this time is a holiday simulator. Once again, the game takes place in a distant future where old human traditions are explored through floppy disks. After the joys of work, you will discover the hell of holidays, relaxation and sunburn. The title will be available early 2019 on Rift, Vive and PSVR. Developed by Ubisoft Montpellier, Space Junkies is a highly anticipated game whose various demonstrations have greatly appealed to the testers. This is a multiplayer FPS in which players are equipped with a jetpack and compete in an arena in 2v2 or 1v1 battles. The title will finally be available on Rift and Vive in 2019. The ZED game tells the story of an aging artist, tormented by dementia and regrets. The player must explore his mind in search of his scattered memories to assemble an ultimate gift for his little girl. This game is developed by Eagre Games, a new studio founded by 1993’s famous Myst artist, Chuck Carter. The title will be available on Rift and Vive in 2019.